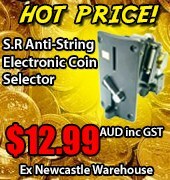 Here you can find all the latest bulk offers being offered by Highway Entertainment. 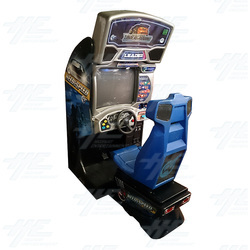 These include bulk buys for amusement machines, arcade machines, pinball and other machines. For more information, please review the below bulk offers. 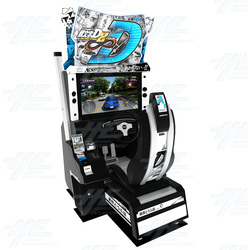 Sega Initial D8 arcade machine clearance is on now. 4 seats with one server. 1 21 inch Samsung Monitor for $20. Serial number m46qck761x214. 1 28 inch YS Monitor for $50. Serial number 73sx705y22-dc20. 1 29 inch WNA Monitor for $50. Serial number a68agd01x. 1 20 inch Samsung Monitor for $50. Serial number b108b22. 1 20 inch Chungwa Monitor for $80. Serial number a48agy13x70. 1 28 inch Sambers Monitor for $50. Serial Number a66eak522x11. 1 x 28 inch Orion Monitor for $20. Serial number a68ktb190x011. 1 28 inch LG Monitor for $20. Serial number m68qdy259x02. 1 19 inch Chungwa Monitor for $150. Serial number m46aja83x46. 1 21 inch Microtouch Monitor for $100. Serial number a48acb24x. 1 29 inch Orion Monitor for $20. Serial number a68ktb130x006. 1 29 inch RCA Monitor for $50. Serial number a66aek21x03. 1 29 inch Samsung Monitor for $20. No Chassis included. Serial number a68qcp891x002. 1 29 inch Samsung Monitor only for $20. Serial number a68qcp891x002. 1 20 inch Microtouch monitor for $20. Serial number a48acb24. 1 20 inch Chungwa Monitor for $50. Serial number a48agy13x70. All monitors in various conditions and sold-as with no warranty. 1 20 inch Chungwa Monitor for $50. Monitor in box style frame. Serial number a48agy13x70. 1 15 inch Samsung Monitor for $40. Serial number m41qcj761x173. 18 17 inch Toei Monitors for $360. Serial Number TC-L175. 1 19inch RCA monitor for $50. Serial number a48aab38x501. 2 19inch Wells Gardner Monitors for $200. 12 22inch TGCD monitors for $960, serial number a51eld032x0c1. 4 mixed rear projection boards for $80. Bulk bundle includes Double Board (serial number 935c31601), 2 Audio Boards (serial number 935c31601) and 1 Chassis Board (serial number su110304d). 1 Wei Ya Chassis Board for $100. Serial number is 820h821h. 1 Pentranic Chassis Board for $80. A bulk bundle of mixed chassis boards for $380. Bulk bundle includes Sega Chassis Board (serial number 200-5187-15), 2 x Hsiang Kuo Chassis Board (serial number 85x0397-001a), Hong Eun Chassis Board (serial number mp-29a), Wei Ya Chassis Board (serial number 3129d), Hsiang Kuo Chassis Board (serial number 5357p-007) and Nanao Settings Board (serial number 6y26lo4). A bulk bundle of 3 mixed chassis boards for $120. Bulk bundle includes Pentranic Chassis Board (serial number ch-288), Star Vision Chassis Board (serial number svb-2903) and Hsiang Kuo Chassis Board (serial number 5357p-007). A bulk bundle of 3 mixed chassis boards for $80. Bulk bundle includes Kortek Chassis Board (serial number kt-2502mf), Pentranic Chassis Board (serial number ch-236) and Pentranic Yoke Board (serial number ch-288). 1 Wei Ya Chassis Board for $140. Serial Number is c3129ds. A bulk bundle of 6 Mixed Chassis Boards. Bulk bundle includes 2 x Kortek Chassis (serial numbers 81406 and 90052056), 2 x Nanao Chassis (serial numbers ms8-26a and ms9-29a), 1 x Min Dong Chassis (serial number tu-md14/22) and one chassis board from Hydro Thunder Machine (serial number n808152). We have bundled Vendetta, Virtua Golf, Virtua Striker, Virtua Tennis, WWF Royal Rumble, X-men Vs Street Fighter, Zombie Revenge Player Instructions for clearance sale. Please check available photos as all goods are offered in as-is (new,used,etc) condition. We have bundled Soccer Superstars, Sonic Wings 3, Stakes Winner, Street Fighter EX 2 Plus, Super Bubble , Tekken Tag Tournament Player Instruction Card, Trog, Turf Masters Player Instructions for clearance sale. Please check available photos as all goods are offered in as-is (new,used,etc) condition. We have bundled Muscle Bomber Duo, NBA Jam, Outlaws of the Lost Dynasty, Rage of the Dragons, Real Bout 2 - Fatal Fury, Rival Schools, Rival Schools United By Fate, Samurai Showdown IV Player Instructions for clearance sale. Please check available photos as all goods are offered in as-is (new,used,etc) condition. 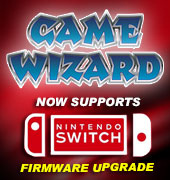 We have bundled Last Bronx Player, Libero Grande, Magical Drop II, Major Title 2, Marvel Super Heroes, Marvel Vs Streetfighter, Midnight Resistance, Millie Miglia Player Instructions for clearance sale. Please check available photos as all goods are offered in as-is (new,used,etc) condition. We have bundled King of Fighters 2000 King of Fighters '97, King of Fighters '99, Kung Fu Master, Last Blade II Player Instructions for clearance sale. Please check available photos as all goods are offered in as-is (new,used,etc) condition. We have bundled Decathlete, Fighting Vipers, Galaga, Hat trick Hero 95, Kick Off 1995 Player Instructions into bundle for clearance sale. Please check available photos as all goods are offered in as-is (new,used,etc) condition. We have bundled Art of Fighting, Caliber 50, Car Dashboard, Cyberbots, Dark Stalkers, DD Crew and Dead or Alive 2 Player Instructions into bundle for clearance sale. Please check available photos as all goods are offered in as-is (new,used,etc) condition.